Dr Ursula Sansom-Daly leads the Mental Health Research Stream within the Behavioural Sciences Unit. Ursula is an early career clinician-researcher and a Post-Doctoral Research Fellow with the Behavioural Sciences Unit, School of Women’s and Children’s Health, University of NSW (UNSW) Medicine. She completed her PhD and Masters in Clinical Psychology at the University of NSW, School of Psychology. Ursula’s PhD used a suite of non-clinical studies among young people without cancer to examine psychological processes that may underpin adverse responses to serious illnesses such as cancer – including autobiographical memory, problem-solving, and the ability to think about the future. Ursula currently holds prestigious Early Career Fellowships from both the National Health and Medical Research Council (NHMRC) and the Cancer Institute NSW (CINSW), and has been chief investigator on grants >$4.5M. 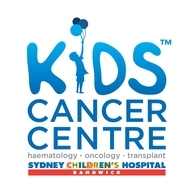 Alongside her research role, she is also the Clinical Psychologist at Sydney Youth Cancer Service the leading clinical team for the treatment and care of adolescents and young adults (AYAs) aged 15-25 years with cancer in Sydney. Reflecting her dual clinical-research roles, Ursula’s post-doctoral research program focuses on applying evidence-based psychology to both understand, and address, mental health issues among AYAs with cancer from diagnosis through to survivorship and end-of-life. She is particularly interested in understanding psychological mechanisms that may explain how (and why) some young people are able to adapt to a cancer experience in a more resilience manner, while others will experience long-term mental health issues for years into survivorship. A large focus of Ursula’s research to date has been tailoring evidence-based cognitive-behavioural therapy to the AYA cancer experience, which has culminated in the online, group-based “Recapture Life” program. Ursula is currently working with community organisations such as CanTeen Australia to implement and disseminate this program beyond hospital walls. Ursula has received numerous awards for her research, including the inaugural CINSW ‘Rising Star’ PhD Student Award 2014, and the Top 5 Under 40 Award (ABC/UNSW) in 2017. Career highlights to date have included travelling to Washington DC in 2012, to train with experts at the National Cancer Institute, USA, in best-practice psychosocial care for adolescents with cancer. This was funded by the prestigious Adam J. Berry Memorial Fund by the National Institutes of Health and the Australian Academy of Science. Hear Ursula discuss her research with Fran Kelly on the ABC Radio National Breakfast show here. See Ursula talk about the Recapture Life research program here.